Around the world, museums are using new and novel approaches to draw visitors to their doors, sometimes by opening satellite locations. 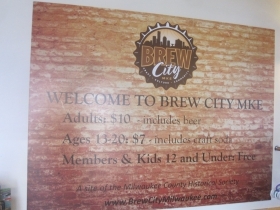 The Milwaukee County Historical Society did this in October 2017 when it debuted a scaled-down version of its 2016 Brew City MKE exhibit in the Shops of Grand Avenue, 275 W. Wisconsin Ave., just two blocks immediately south of its historic Beaux Arts headquarters at Pere Marquette Park. 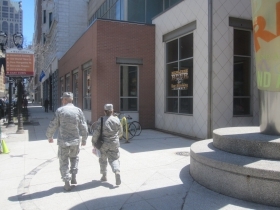 The museum signed a one-year renewable lease for a former Applebee’s restaurant that had closed in July 2016. The terms were favorable: rent was free and the museum was only on the hook for the utilities. Thrifty museum officials realized that it would be silly to tear out the bar that Applebee’s left behind, so the museum plans included a working bar, open to the public during the museum’s business hours. Admission to the bar is free. Patrons who choose to visit the exhibition pay $10, which gets them a free beer, and a free trip to the museum’s main facility and library that day. Back in 1910, this was the site of the Palm Garden of the Schlitz Hotel, one of the most famous and attractive of the brewery giant’s many Tied Houses, so the beer lineage is impeccable. 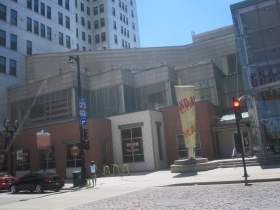 The facility itself dates to the 1982 construction of what was then the Grand Avenue Mall, and the entrance to the museum is immediately east of the main entrance to the mall. From the street it is not easy to read that there is a bar behind the windows that offer a peek into the museum display. 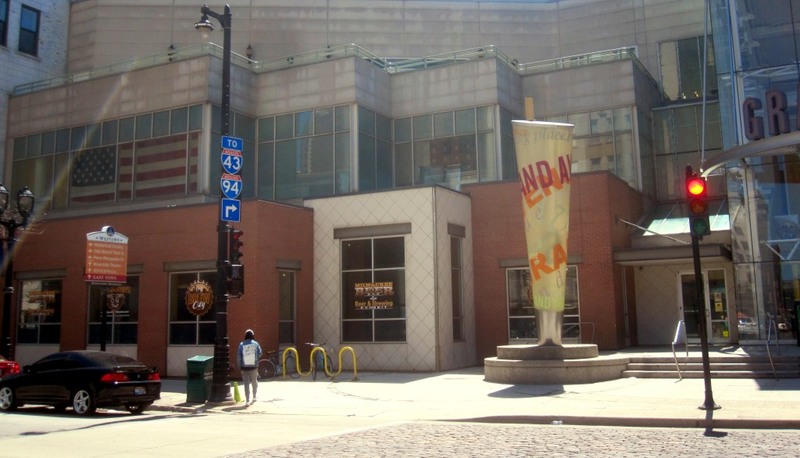 But if you look at the many signs and banners, you realize they do say Milwaukee BEER Museum and BAR. Perhaps the operators might consider putting some neon beer signs in the window to attract more attention. 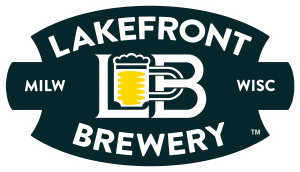 There’s a fine one from Lakefront Brewery inside the bar, and there are likely collectors who have some vintage ones to offer. Beer in hand, it is off to the museum. Many readers of Bar Exam enjoy finding old bars with neat old photographs and other memorabilia within. The Best Place at the Pabst Brewery is a treasure house of Blue Ribbon ephemera, but it is safe to say there is no single collection under one roof (and serving beer at that) to rival the display in the attached museum. 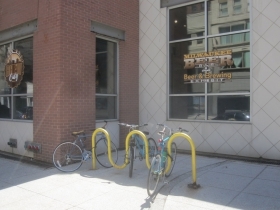 Milwaukee has long been known as the city of beer, but one must ask … Why Beer? Why Here? There were a number of factors involved, we learn, including abundant farmland, accessible hop fields, good water, ease of transportation, location near population centers, rivers and lakes filled with ice in the winter, and a huge immigrant population from Germany and other Northern European beer-drinking countries. A letter from the Joseph Schlitz Brewing Company boasted 1889 production of 402,726-3/4 barrels of beer, up from 7,172 barrels in 1869. During that time, the city population swelled from 71,440 to 204,468. There are other delights within — chairs from the Gettleman Brewery manufactured from barrel staves, samples of malted barley to touch and taste, any number of bottles and glasses, some quite rare, and an abundance of advertising material. A photograph of the Pabst Brewery art department in the 1890s is full of fabulous items, and reminds us that beer was always a leader in mass advertising techniques. There are lots of pretty Victorian ladies in various states of undress. 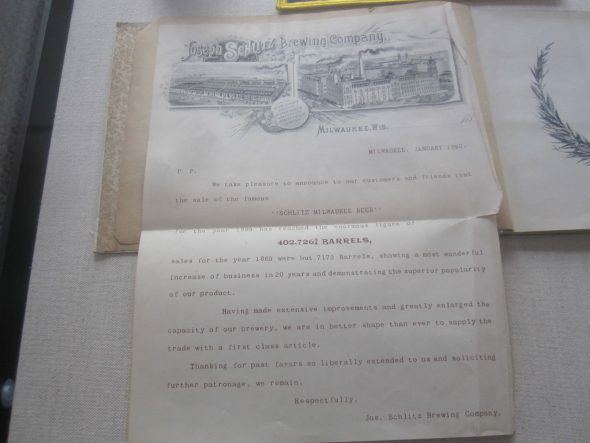 Displays also recount Milwaukee’s famous brewing families, and even include handy recipes for home brew, including the non-alcoholic kind that nobody ever made. 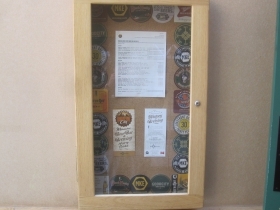 The display also notes the ancillary businesses that grew to prominence here in the service of the breweries. There are the ice harvesters, for example. Ice was crucial to keep beer chilled during the lagering process, and breweries used hundreds of thousands of tons annually. (Another geographic benefit for Milwaukee was the presence of hills into which beer caves could be dug.) Brewing was the first industry to embrace mechanical refrigeration in the late 19th century, so companies like Vilter Manufacturing, makers of ice machines, also figure in the analysis. Then there are the companies that made the bottles, and the companies that made the machines that washed the bottles, as well as the various means of transportation used to get beer and its ingredients from one place to another. These include everything from dollies to locomotives. A beautiful display from Pabst is festooned with ribbons its horse teams won at the 1904 World’s Fair in St. Louis, home of archrival Anheuser Busch. 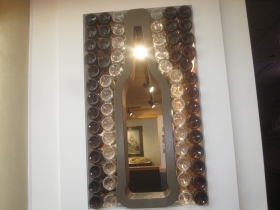 Other displays include equipment used in making industrial quantities of beer, including blending machines used to maintain quality and consistency, a Lauter Grant, an early bottling machine and other wonders that beggar description. Isn’t it time you support your local museum? And have a beer while you’re at it? Walk Score: 88 out of 100, “Very Walkable“ Most errands can be accomplished on foot.” City Average: 62 out of 100. Transit Score: 71 out of 100: “Excellent Transit.” Transit is convenient for most trips. City Average: 49 out of 100. FWIW, Applebee’s (the former occupant) is spelled with two es, not a y.
I remember the Palm Garden (vaguely – it’s like another lifetime because it’s so far away!). Thanks for researching and featuring this unique bar, Michael Horne!